In this work, polysulfone (PSf) mixed matrix membranes were prepared by incorporating modified montmorillonite with lysine amino acid (MMT-Lys) for arsenic removal from water. Different tests including XRD, zeta potential, FE-SEM, contact angle, and pure water ﬂux (PWF) were carried out to characterize modified MMT and fabricated mixed matrix membranes. XRD analysis showed that MMT was successfully modified with Lys and its zeta potentials transferred from negative to positive after modification. Positive charge of MMT-Lys made it proper for anionic arsenic removal from water. The obtained results showed that pure water ﬂux and surface hydrophilicity of the membranes improved as MMT-Lys contents increased from 0 to 1.5 wt.%. The batch adsorption of fabricated membranes as a function of arsenic initial concentration and solution pH was investigated. The removal efﬁciency was increased with increasing the arsenic initial concentration; however it was decreased with increasing pH of solution. The results also revealed that the arsenic adsorption was most favorable in the neutral pH. Moreover, membrane reusability of the PSf/MMT-Lys (1.5 wt.%) membrane was assessed by conducting ﬁve cycles of adsorption-desorption experiments in dead-end ﬁltration. The obtained results showed the applicability of the prepared membrane for multiple cycles. Arsenic contamination of drinking water is one of the most serious concerns in the world. Arsenic can be found in water in inorganic form as oxyanions of arsenite, As(III), or arsenate, As(V) . The major health concern of arsenic exposure through drinking water is the risk of skin, lung, liver and lymphatic cancer. Due to these health hazards associated with arsenic contaminated water, the World Health Organization (WHO) has set 10 ppb as the maximum contaminant level (MCL) of arsenic in drinking water . Various treatment technologies including precipitation , coagulation [4-6], ion exchange, adsorption [7-10] and membrane filtration through nanofiltration (NF) [7, 11-14] have been extensively used for arsenic removal. Among these methods, membrane processes have got much attention and demonstrated to be effective. However, NF membranes require high operational pressure and costly membrane. Consequently, researchers have focused on the development of new membrane based processes for arsenic removal from water. In this practice, adsorptive mixed matrix membrane was introduced for an efficient removal of small pollutants from water at low pressure [15-20]. Adsorptive mixed matrix membranes are a kind of MF/UF membranes developed by embedding the inorganic materials into porous polymeric matrix [20, 21]. The adsorptive membranes combine the selectivity of adsorption method with the flow behavior of MF/UF membranes . In terms of adsorptive membranes, reversible interaction is very important to have reusable membranes. Since electrostatic interaction is reversible, positive charged inorganic materials possess wider practical in anionic pollutant removal . To prepare highly efﬁcient adsorptive membranes for arsenic removal, investigators have used several adsorbents incorporating in polymer matrix. One of the most common ligand in positive charged adsorbents is amine group. The amino acids with amine and carboxylic groups are zwitterionic compounds that contain both positively and negatively charged chemical groups [24, 25]. Depending on the pH of their environment, amino acids may carry a net positive charge, a net negative charge, or no charge . By taking this point into consideration, Lys as positively charged amino acid was used to modify MMT by a simple cation exchange method. Modified MMT with Lys was embedded in porous polymeric matrix. As for the polymer matrix, polysulfone (PSf) has been widely used in MF/UF membranes due to its outstanding properties such as low cost, availability, high mechanical strength, thermal and chemical stabilities, resistance over wide range of pH, as well as easy processability and variety of active functional groups [27-31]. In this study, modification of MMT and fabrication of PSf/MMT-Lys membranes were done successfully. The key membrane properties, such as hydrophilicity, PWF and morphology were evaluated. The adsorption isotherms of all membranes, dynamic adsorption and regeneration of membrane with high adsorption capacity were investigated and discussed. Commercial grade of polysulfone (ρ =1250 (kg/m³), Tg=190°C) purchased from Slovay and used as polymer. Natural montmorillonite as nanoclay with cation exchange capacity (CEC) of 92.6 meq/100 g was obtained from Southern Clay Products Inc., Texas, USA. N-Methyl-2-Pyrrolidon (NMP) (ρ=1030 kg/m3) as solvent and polyethylene glycol (PEG) (Mw = 20000(g/g mol)) as pore former were provided from Merck and used to fabricate membrane. Disodium hydrogen arsenate heptahydrate Na2HAsO4.7H2O to prepare arsenic solutions, lysine as surfactant and finally, NaOH and HCl were purchased from Merck, respectively. The modified MMT with Lys was prepared by displacement of the sodium cations of MMT with the protonated Lys. Typically, 0.2 g of the MMT was dispersed in 25ml of distilled water and suspension was continuously stirred for 24 h to swell the layered silicates. The Lys solution prepared separately by dissolving 0.1 g in 25 ml deionized water at 30 0C following by incorporating of HCl while pH of solution adjusted to 3. Then solution added slowly to clay and mixture was subjected to mechanical stirring for 12 h in water bath at 70 0C. After precipitation, the ﬁnal modified MMT was separated by centrifugation and washed with water. Finally, the modiﬁed Mt was dried at 60˚C for 12 h.
X-ray diffraction (XRD) patterns of the resulting clays were obtained on (D500 Siemens, Germany) diffractometer using Cu-Kα radiation (λ=0.154 nm) under a voltage of 35 kV and a current of 30 mA between 2θ of of 2-50ᵒ. The zeta potentials of unmodified and modified MMT were measured on a Nano ZS (red badge) ZEN 3600. The pH dependences of zeta potentials for MMT and MMT-Lys were measured in the aqueous solutions at different pH values, adjusted by NaOH and HCl. All membranes were prepared using non solvent induced phase separation method. Modified MMT in various weight percentage (0.5, 1.0 and 1.5) was dispersed into 40 g NMP using sonication by probe system (Sonopuls HD 3200, Bandelin) for 30 min. Then, 7.8 g PSf and 2.6 g PEG were added to particles solution and mixture was stirred at 60 ˚C for 8h. After that, resulted homogenous solution sonicated for 15 min and then enough time was given for bubbles to be completely released. At least a portion of the achieved solution was poured onto flat plate glass and spread out using an automatic casting knife at the speed of 10 mm/sec. The thickness of all membranes was kept constant at 150 micrometers. Immediately after casting, the ﬁlm was immersed in a water bath to initiate phase inversion. The obtained membranes were thoroughly rinsed with deionized water and dried at 70 0C to remove the residual solvent. The composition of each casting solution is given in Table 1. The morphology of the membranes was characterized by FE-SEM (MIRA3 FEG-SEM, Tescan). Cross-section samples were prepared by fracturing the membranes in liquid nitrogen. All samples were coated with gold by sputtering before observation to make them conductive. The hydrophilicity of membranes was evaluated by measuring contact angle between membrane surface and water droplet using a contact angle goniometer (PGX, Thwing-Albert Instrument Co.). The average of 3 measurements was reported. Pure water flux of membranes was determined using an in-house fabricated dead-end filtration system having 5cm2 of membrane area. To minimize compaction effects, the pre-wetted membranes were compacted for 30 min at 2 bar. Then the pressure was reduced to 1.5.
where Co (mg/L), Ce (mg/L) and Ct (mg/L) are concentrations at the initial, equilibrium and time t in the solution, respectively, V is the total volume (L) of the arsenic solution and Mm is the mass (g) of dry membrane used in the adsorption study. The equilibrium concentrations of arsenic in the solutions were analyzed by atomic absorption Varian 220-Graphite Furnace spectroscopy. where q is defined before, qmax is the maximum adsorption capacity (mg/g), KL is the Langmuir adsorption capacity (L/mg), Ce is the arsenic equilibrium concentration in solution (mg/L). where, KF is the Freundlich constant and n is the heterogeneity factor. Filtration experiments were carried out in a dead-end filtration setup filled with 100 ppb As(V) solution. The system consisted of a cup connected to a pressure balloon and the filtration experiments were conducted at trans-membrane pressure of 1 bar and feed volume was 300 ml. Each cycle ﬁltration followed by a regeneration step where 50 ml water with pH=9 filtered through the membrane. After regeneration, the second cycle of experiments was initiated and this trend continued until 5 cycles. The X-ray diffraction patterns of MMT and MMT-Lys were depicted in Fig. 1. The basal spacing of the MMT is 0.98 nm which is calculated from the peak position at 2θ = 8.84˚ using Bragg’s equation. Diffraction peak of the MMT-Lys after the ion exchange shifted to a lower angle (2θ =6.95, d = 1.3 nm) compared to unmodified MMT. The increase in basal spacing of modified clays confirmed successful modification of MMT with Lys. Zeta potentials of MMT and MMT-Lys in different pH were shown in Fig. 2. For MMT-Lys, the zeta potential was positive in wide range of pH while it was negative for unmodified MMT. Positive zeta potential means positive surface charge which increases the electrostatic attraction between adsorbent surface and the arsenic anions. This provided another evidence to demonstrate that Lys has been intercalated between MMT. The surface hydrophilicity is one of the signiﬁcant properties of membranes and has significantly effect on the water ﬂux of membranes. Fig. 3 shows the surface contact angles of the membrane adsorbers as a function of MMT-Lys contents. As can be seen, water contact angle of PSf membrane was about 92º and incorporating of MMT-Lys resulted in reduction of water contact angle to 82º for PSf/MMT-Lys (1.5 wt.%). It can be seen that hydrophilicity of the membrane has been relatively improved. The increasing of membrane hydrophilicity is most due to the hydrophilic polar amine functional groups of modified clay. FE-SEM images of the top surface and cross-section of PSf and PSf/MMT-Lys (1.5 wt.%) are shown in Fig. 4. As can be seen from Fig. 4(a) images, the membranes exhibit typical asymmetric structure consists of ﬁnger-like pores and macrovoids. Some diﬀerences can be seen between the PSf and the mixed matrix membrane. The cross sectional images of PSf membrane reveal the presence of macrovoids. It is also observed that macrovoids tend to decrease in size and become narrower, however ﬁnger-like pores become longer by incorporating MMT-Lys. Incorporating of MMT-Lys made the dope solution thermodynamically less stable and brought rapid nucleation from the polymer lean phase and promoted macrovoid formation. The top surface images of membranes (Fig. 4(b)) show that the number of pores increases by incorporating MMT-Lys. Results of pure water ﬂux of PSf and membrane adsorbers were shown in Fig. 5. According to the effect of MMT-Lys on pure water flux of membranes, it is obvious that addition of MMT-Lys in the casting solution increased pure water flux of membranes. However, higher content of MMT-Lys, i.e. 2 wt. %, resulted in decrease in water flux which has not shown in results. Consequently, 1.5 wt.% loading of MMT-Lys was selected as maximum amount for incorporation into PSf matrix. The main reason to justify the increase in the PWF of the membrane could be attributed to the bigger pore size as well as the extended macrovoids of the mixed matrix membrane. The relationships of the equilibrium adsorption capacities with the initial concentrations of the arsenic are shown in Fig. 6. Fabricated membrane adsorbers demonstrated increasing trend in adsorption capacity with increasing initial concentrations of arsenic, due to the increasing chance of adsorption interaction between arsenic and MMT-Lys in solution with higher As(V) concentrations. Comparison between adsorption capacities of mixed matrix membranes showed that the adsorption capacity increased by increasing the MMT-Lys content. The maximum adsorption capacity was seen in PSf/MMT-Lys (1.5 wt.%) membrane and it was used for filtration studies. The constants for the Langmuir and Freundlich isotherms were calculated by linear regression of the linear forms of the isotherms and the obtained results were shown in Table 2. From R2 values, it was found that all mixed matrix membranes favor the Langmuir adsorption isotherm and the adsorption processes were monolayer adsorption. The pH is an important parameter that controls the adsorption of arsenic. The removal efficiency of arsenic at different pH is studied in batch experiments and the obtained results are shown in Fig. 7. At initial pH ranging from 3 to 7, 90% of arsenic can be removed successfully. At pH lower than isoelectric point of MMT-Lys the surface of modified MMT in the membrane is in protonation state and causes to increase the positively charged sites. Consequently, the adsorption of arsenic increases through electrostatic attraction between arsenic anions and positive amino chain of MMT-Lys. However, in high pH, the removal efficiency of PSf/MMT-Lys (1.5 wt.%) declined to 50%. The main reason for decreasing the arsenic adsorption at high pH is repulsion between the negatively charged surface sites and arsenic anions. For filtration study, PSf/MMT-Lys (1.5 wt.%) with high batch adsorption capacity was placed in a dead-end filtration cell. As(V) removal efficiency throughout five consecutive cycles was examined at As(V) concentration of 100 ppb. In each cycle 300 ml of As(V) solution was filtered and followed by regeneration step where 50 ml of water with pH=9 was filtered through the membrane. As shown in Fig. 8, removal efficiency was 96% at the first step and decreased with increasing the regeneration cycles. Based on removal efficiency of cycles, it could be concluded that PSf/MMT-Lys (1.5 wt.%) was capable of As(V) removal for 5 cycles with simple regeneration method. This indicates that the adsorptive membrane can be used for multiple cycles. In Table 3, equilibrium adsorption capacity and the number of regeneration cycles of prepared mixed matrix membrane were compared with other membranes reported in the literature for arsenic removal. The results reported in Table 3 confirm the acceptable adsorption capacity of developed PSf/MMT-Lys in comparison with other mixed matrix membranes with regard to their high As(V) initial concentration. Furthermore, incorporating MMT-Lys into membrane matrix can overcome the drawback of Laterite/polyacrylonitrile membrane which exhibits lower adsorption capacity. The main advantage of developed PSf/MMT-Lys membrane is its high regeneration capability due to the electrostatic interaction between arsenate oxyanions and positive groups of MMT-Lys in neutral pH. However, the adsorption of oxyanions on metal oxides has been regarded as a typical ligand-exchange process which always involves a highly speciﬁc chemisorption . The modified montmorillonite with lysine amino acid (MMT-Lys) incorporated polysulfone (PSf) membranes were prepared by non-solvent induced phase separation method. The performance of PSf/MMT-Lys adsorptive mixed matrix membranes for arsenic removal from water was investigated. The fabricated membranes exhibited higher pure water flux and hydrophilicity in compare of neat PSf membrane. The FE-SEM studies demonstrated that incorporating MMT-Lys leads to an increase in surface porosity and extended figure like voids. The batch adsorption studies exhibited that the arsenic adsorption was most favorable in the neutral pH. In addition, the obtained results revealed that PSf/MMT-Lys (1.5 wt.%) exposed high adsorption capacity and it was used for filtration studies. The dynamic adsorption experiment showed that fabricated mixed matrix membrane can be used successfully for 5 multiple adsorption-desorption cycles. 1. Shih M-C. An overview of arsenic removal by pressure-drivenmembrane processes. Desalination. 2005;172(1):85-97. 2. Smedley PL, Kinniburgh DG. A review of the source, behaviour and distribution of arsenic in natural waters. Applied Geochemistry. 2002;17(5):517-68. 3. Harper TR, Kingham NW. Removal of arsenic from wastewater using chemical precipitation methods. Water Environment Research. 1992;64(3):200-3. 4. Parga JR, Cocke DL, Valverde V, Gomes JA, Kesmez M, Moreno H, et al. Characterization of electrocoagulation for removal of chromium and arsenic. Chemical Engineering & Technology. 2005;28(5):605-12. 5. Balasubramanian N, Madhavan K. Arsenic removal from industrial effluent through electrocoagulation. Chemical Engineering & Technology. 2001;24(5):519-21. 6. Bilici Baskan M, Pala A. A statistical experiment design approach for arsenic removal by coagulation process using aluminum sulfate. Desalination. 2010;254(1–3):42-8. 7. Banerjee K, Amy GL, Prevost M, Nour S, Jekel M, Gallagher PM, et al. Kinetic and thermodynamic aspects of adsorption of arsenic onto granular ferric hydroxide (GFH). Water Research. 2008;42(13):3371-8. 8. Camacho LM, Parra RR, Deng S. Arsenic removal from groundwater by MnO2-modified natural clinoptilolite zeolite: Effects of pH and initial feed concentration. Journal of Hazardous Materials. 2011;189(1–2):286-93. 9. Elizalde-González MP, Mattusch J, Einicke WD, Wennrich R. Sorption on natural solids for arsenic removal. Chemical Engineering Journal. 2001;81(1–3):187-95. 10. Giles DE, Mohapatra M, Issa TB, Anand S, Singh P. Iron and aluminium based adsorption strategies for removing arsenic from water. Journal of Environmental Management. 2011;92(12):3011-22. 11. Guan X-H, Su T, Wang J. Quantifying effects of pH and surface loading on arsenic adsorption on NanoActive alumina using a speciation-based model. Journal of Hazardous Materials. 2009;166(1):39-45. 12. Chutia P, Kato S, Kojima T, Satokawa S. Arsenic adsorption from aqueous solution on synthetic zeolites. Journal of Hazardous Materials. 2009;162(1):440-7. 13. Manna B, Ghosh UC. Adsorption of arsenic from aqueous solution on synthetic hydrous stannic oxide. Journal of Hazardous Materials. 2007;144(1–2):522-31. 14. Mandal S, Padhi T, Patel RK. Studies on the removal of arsenic (III) from water by a novel hybrid material. Journal of Hazardous Materials. 2011;192(2):899-908. 15. Casadellà A, Kuntke P, Schaetzle O, Loos K. Clinoptilolite-based mixed matrix membranes for the selective recovery of potassium and ammonium. Water Research. 2016;90:62-70. 16. Chatterjee S, De S. Adsorptive removal of fluoride by activated alumina doped cellulose acetate phthalate (CAP) mixed matrix membrane. Separation and Purification Technology. 2014;125:223-38. 17. Gohari RJ, Lau WJ, Halakoo E, Ismail AF, Korminouri F, Matsuura T, et al. Arsenate removal from contaminated water by a highly adsorptive nanocomposite ultrafiltration membrane. New Journal of Chemistry. 2015;39(11):8263-72. 18. Jamshidi Gohari R, Lau WJ, Matsuura T, Halakoo E, Ismail AF. Adsorptive removal of Pb(II) from aqueous solution by novel PES/HMO ultrafiltration mixed matrix membrane. Separation and Purification Technology. 2013;120:59-68. 19. Lin L, Zhang L, Zhang C, Dong M, Liu C, Wang A, et al. Membrane adsorber with metal organic frameworks for sulphur removal. RSC Advances. 2013;3(25):9889-96. 20. Niedergall K, Bach M, Schiestel T, Tovar GEM. Nanostructured Composite Adsorber Membranes for the Reduction of Trace Substances in Water: The Example of Bisphenol A. Industrial & Engineering Chemistry Research. 2013;52(39):14011-8. 21. 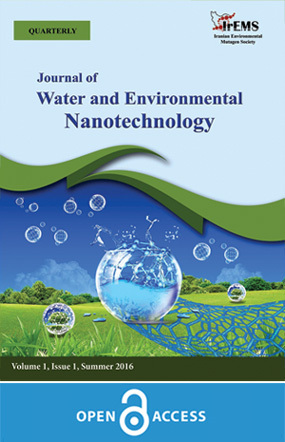 Yin J, Deng B. Polymer-matrix nanocomposite membranes for water treatment. Journal of Membrane Science. 2015;479:256-75. 22. Ladhe AR, Frailie P, Hua D, Darsillo M, Bhattacharyya D. Thiol-functionalized silica–mixed matrix membranes for silver capture from aqueous solutions: Experimental results and modeling. Journal of Membrane Science. 2009;326(2):460-71. 23. Katti KS, Ambre AH, Peterka N, Katti DR. Use of unnatural amino acids for design of novel organomodified clays as components of nanocomposite biomaterials. Philosophical Transactions of the Royal Society A: Mathematical, Physical and Engineering Sciences. 2010;368(1917):1963-80. 24. Ghadiri M, Chrzanowski W, Lee WH, Rohanizadeh R. Layered silicate clay functionalized with amino acids: wound healing application. RSC Advances. 2014;4(67):35332-43. 25. Parbhakar A, Cuadros J, Sephton MA, Dubbin W, Coles BJ, Weiss D. Adsorption of l-lysine on montmorillonite. Colloids and Surfaces A: Physicochemical and Engineering Aspects. 2007;307(1–3):142-9. 26. Ganesh BM, Isloor AM, Ismail AF. Enhanced hydrophilicity and salt rejection study of graphene oxide-polysulfone mixed matrix membrane. Desalination. 2013;313:199-207. 27. Choi J-H, Jegal J, Kim W-N. Fabrication and characterization of multi-walled carbon nanotubes/polymer blend membranes. Journal of Membrane Science. 2006;284(1–2):406-15. 28. Anadão P, Sato LF, Wiebeck H, Valenzuela-Díaz FR. Montmorillonite as a component of polysulfone nanocomposite membranes. Applied Clay Science. 2010;48(1–2):127-32. 29. Yang Y, Zhang H, Wang P, Zheng Q, Li J. The influence of nano-sized TiO2 fillers on the morphologies and properties of PSF UF membrane. Journal of Membrane Science. 2007;288(1–2):231-8. 30. Fan Z, Wang Z, Sun N, Wang J, Wang S. Performance improvement of polysulfone ultrafiltration membrane by blending with polyaniline nanofibers. Journal of Membrane Science. 2008;320(1–2):363-71. 31. Shokri E, Yegani R, Pourabbas B, Kazemian N. Preparation and characterization of polysulfone/organoclay adsorptive nanocomposite membrane for arsenic removal from contaminated water. Applied Clay Science. 2016;132–133:611-20. 32. Zhu R, Chen Q, Zhou Q, Xi Y, Zhu J, He H. Adsorbents based on montmorillonite for contaminant removal from water: A review. Applied Clay Science. 2016;123:239-58. 33. Zheng Y-M, Zou S-W, Nanayakkara KGN, Matsuura T, Chen JP. Adsorptive removal of arsenic from aqueous solution by a PVDF/zirconia blend flat sheet membrane. Journal of Membrane Science. 2011;374(1–2):1-11. 34. Chatterjee S, De S. Adsorptive removal of arsenic from groundwater using a novel high flux polyacrylonitrile (PAN)-laterite mixed matrix ultrafiltration membrane. Environmental Science: Water Research & Technology. 2015;1(2):227-43.